The Galaxy Note 4 is considered a “phablet”, a device in which the user can use as a phone and a tablet at the same time as its whopping 5.7-inch size isn’t exactly size of a regular phone while it can be considered as a small tablet. On the other hand, the Galaxy S6 is really considered a regular-sized smartphone, although it may be bigger than some of the average smartphones out there. Without a doubt, you should consider which size you are more comfortable using on a daily basis before considering other things like performance, display, camera, etc…etc… For me personally, I really like the 5.7-inch size of the Galaxy Note 4. Even LG G4’s 5.5-inch screen seemed a bit small for me. Although I love the camera on the Galaxy S6 and LG G4, I have recently returned to using my Galaxy Note 4 as daily driver. You should also consider the size of the phone before anything else as I think it’s the most important feature in a smartphone. 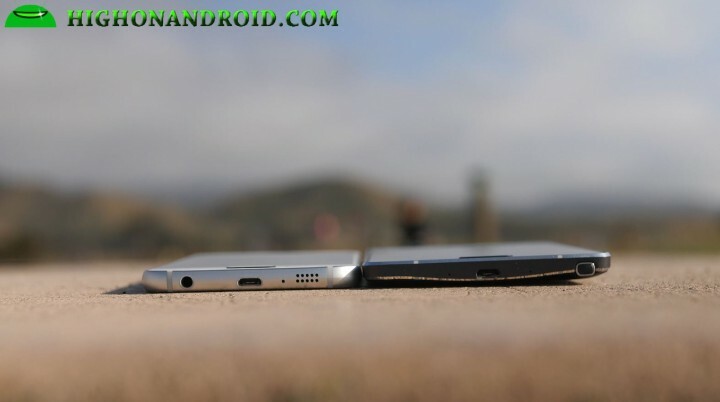 *Note – The Galaxy S6 Edge has exactly the same hardware as a regular S6 except a slightly larger battery and curved screen. So you should consider S6 and S6 Edge almost identical phones hence why I did not include S6 Edge in this comparison. For me, the biggest complaint with smaller-sized smartphones is typing. I feel like typing on the 5.1-inch screen on the Galaxy S6 for a long period of time is very tiring and I do use my phone to type all day long. The 5.7-inch screen is simply so much easier to type and for many hours. Once you go big, it’s hard to go back. On a side note, I’ve tried devices larger than the Note 4 (like Sony Z Ultra which I ultimately ended up selling away) and I found if you go too big, it may also become harder to type as the keyboard enlarges too much. If you type a lot on your phone for e-mails, SMS, and whatnot, you may want to consider the best size that will help you type most comfortably and fast. That may not necessarily mean you type better on larger phones, you just need to find the right size that works for you as everyone is different. 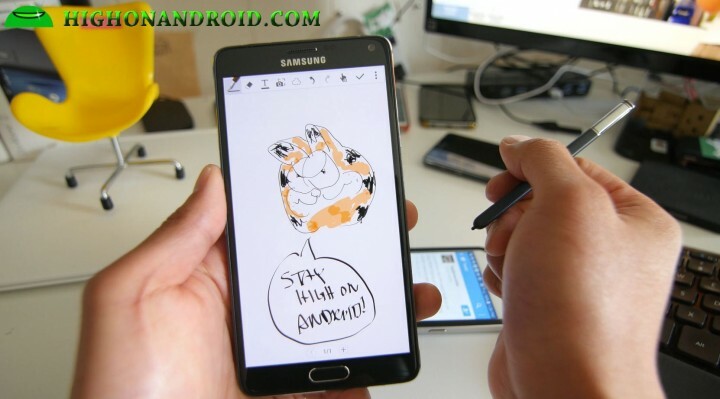 Now, if you don’t care about the size of the phone or perhaps you simply have one of world’s best hand-eye coordination (and typing on any screen is a piece of cake for you), you should next consider whether having an S-Pen will make your life easier. The S-Pen functionality on the Galaxy Note 4 has pressure-sensitive feature to allow the user to draw almost as good as on real paper. But do you absolutely need this feature? Perhaps you are a CEO at a company who jots down a hundred ideas per day, or aspiring artist who wants to draw while commuting to work/school, or maybe you are a chef who’s finger gets greasy all the time and need to use the phone without your hands. Whatever the case, the S-Pen feature may save the day. The Galaxy Note 4 is simply a beast when it comes to the most advanced stylus on the market today and if you need that feature, that alone may be a reason to get over the Galaxy S6. 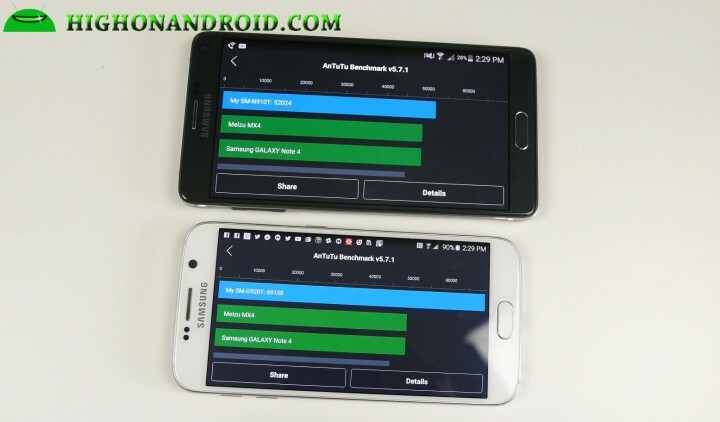 As for performance, the Galaxy S6 has the fastest processor on earth right now with its Exynos 7420 Octa-core processor ,which is roughly 40% faster than the Galaxy Note 4’s Qualcomm Snapdragon 805 processor. Of course, for most apps, you are not going to notice any difference as the performance difference won’t show unless you are utilizing all of the CPU processing power. With graphic-intensive games, you will notice few seconds of faster loading times and where you will notice drastic difference is when doing thing like editing/rendering videos. This is always a mouse and cat game between the Note series and S series every year since the Note is released around every October while the S series are released around March. As a general rule of thumb, you can always wait another 6 months for the faster processor to come out on the next Galaxy flagship. But if you absolutely must have the fastest processor, you cannot go wrong with the Galaxy S6 as it’s simply the king of raw processing power at the moment. Probably the single most impressive feature on the Galaxy S6 and S6 Edge series this year is the camera. I was amazed at how much better it was over the Note 4 and that was my number one reason for temporarily switching to the Galaxy S6 as daily driver for almost a month. Focusing times are much faster on the Galaxy S6 and photos are a tad bit better in most situations. Note 4 isn’t that bad either, it’s actually a great camera but the Galaxy S6 just simply does everything better with upgraded hardware and software. For 4K video recording, I found that the OIS on the Galaxy S6 gives it much more stability while the Note 4 shakes a lot. Audio quality is also insanely awesome on the Galaxy S6, especially in noisy environments. Overall, the Note 4 is still excellent camera but if you absolutely need to have the best smartphone camera on earth, the Galaxy S6 may be a better way to go. 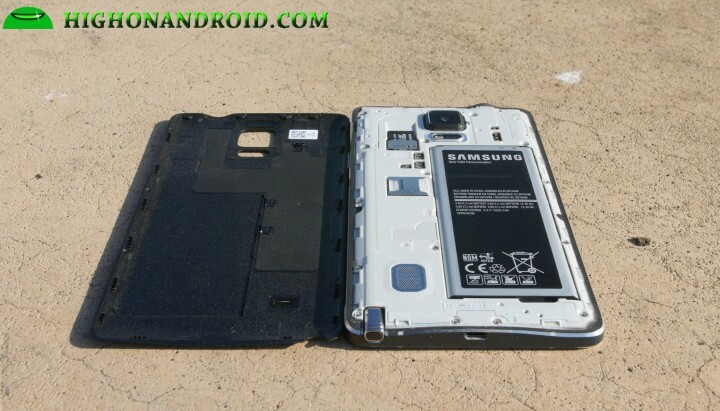 Samsung has really killed one of their best features by removing removable battery and expandable micro-SD card option from the Galaxy S6. It’s been the pinnacle of their brand. In fact, those commercials about iPhone wall huggers from last year are still fresh in my mind. I know some of you may not care but having removable battery is awesome for swapping batteries on the go and removable micro-SD card is great for extending your 4K home videos while vacationing in Hawaii. You may not think of it much now but when you run out of battery or storage one day, it may be too late to change. 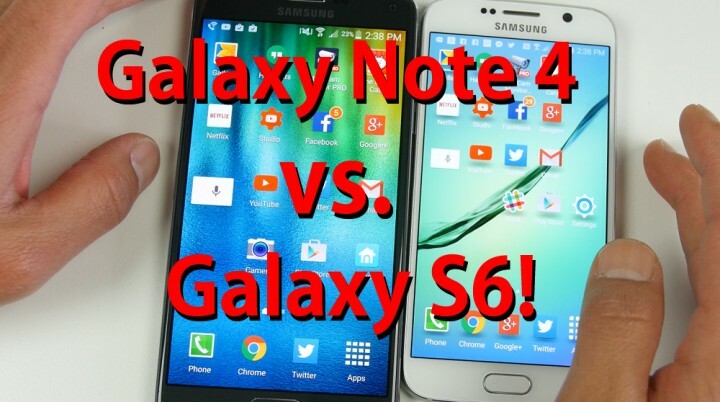 In that regards, the Note 4 simply has it and the S6 doesn’t. While the internal storage may be much faster than before, you are so much more limited in space if you are data hog and may run out of space one day. You can still use OTG USB flash drives though as both Note 4 and S6 support them out of the box to offload your data. But it does still require you to transfer the files, extra hassle you may not want to deal with in certain situations like your newborn being born and you have exactly 30 seconds to start recording. I may be exaggerating but just consider the convenience of micro-SD cards versus carrying extra OTG USB flash drives, micro-SD cards are small enough to fit in my wallet while OTG USB flash drives are many times bigger. Overall, there’s probably a million reasons why Note 4 is better or the Galaxy S6 is better but I’ve tried to outline some of the most important ones you should consider before buying them. In the end, do buy the phone that suits your lifestyle, don’t buy a phone just because it’s the newest or because it has a better camera you will never use. For me, camera wasn’t the biggest issue since I carry my Panasonic GH4 (which takes 10 times better photos/4K videos than my S6) and I ultimately ended up with the Note 4 due to the larger screen size and longer battery life. If you purchased the Note 4 or Galaxy S6/S6 Edge, leave your thoughts on what ultimately made you decide on your purchase in the comments box below, thanks! Nice articles and comparisons. My SG4 is over two years old now and I think the only way to improve my mobile experience considerably is to go with a bigger screen, so I’m thinking if the note 5 isn’t out for a while and the Z4 never happened properly I should go Note 4, even though it’s been out for a while. 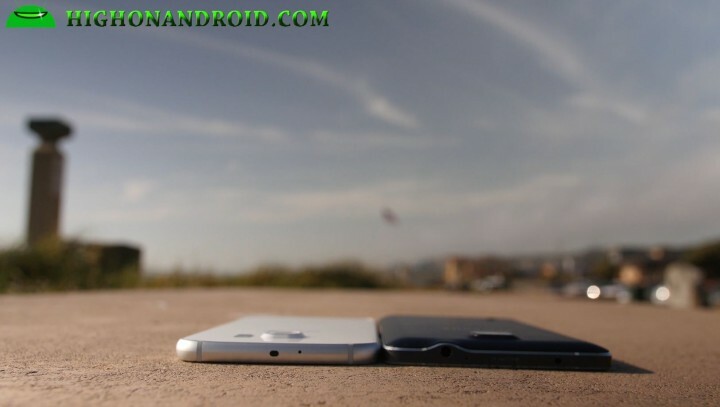 Next story How to Install Android M Launcher on Any Android Device! Previous story Aukey 10,000mAh Quick Charge 2.0 USB Power Bank!